Without expert LCD or Plasma TV installation, you may not be maximising the viewing potential and also have problems with your installation! 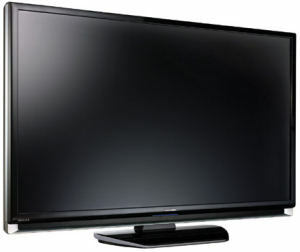 Greenan Electrical can fully install any Plasma Screen or LCD television to your requirements, and ensure all your home entertainment systems are fully configured to operate correctly with your new addition, whether it is terrestrial television, Sky TV, digital TV or your DVD system. Our installation engineers will install your LCD or Plasma to a very high standard, using suitable wall mountings and cable routing to your entertainments systems, video & DVD players or as per your own unique requirements. Greenan Electrical will supply the adequate wall bracket and cabling for your Plasma or LCD system, and an engineer can visit to discuss requirements for the viewing area and plan the installation with you before we undertake installing the plasma or LCD screen.